I celebrated the 4th of July yesterday by photographing this sweet girl along with photos of her family and big sister. 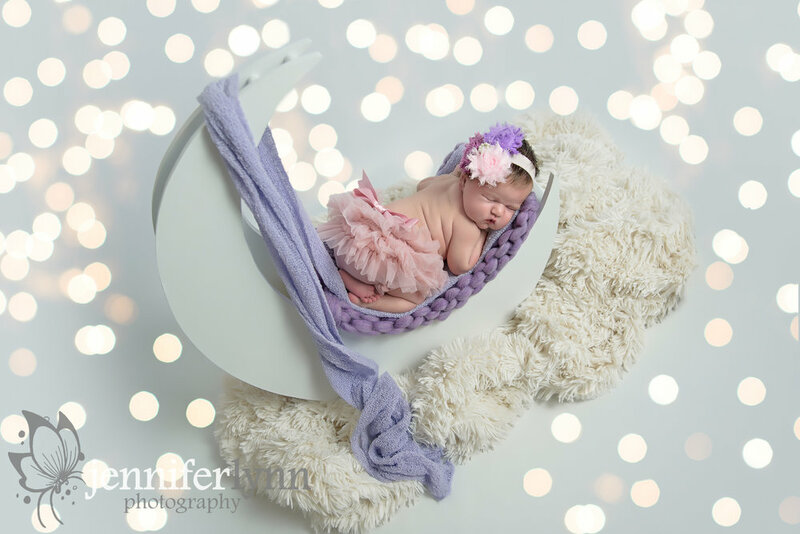 Anna is just a week old and was a dream baby for her newborn session, practically sleeping the entire time. She even let me try a composite at the end with froggie, and had the best little expression as she tried to figure out where the clicking sounds came from. Anna's big sister was very excited to sit on the big fluffy blanket next to her sister. I'm not sure she quite understands yet how much her life has changed, but she was sure sweet with Anna, offering kisses and standing next the new baby. She even continued her big smiles for a wonderful family portrait that I'm sure mom and dad will cherish. 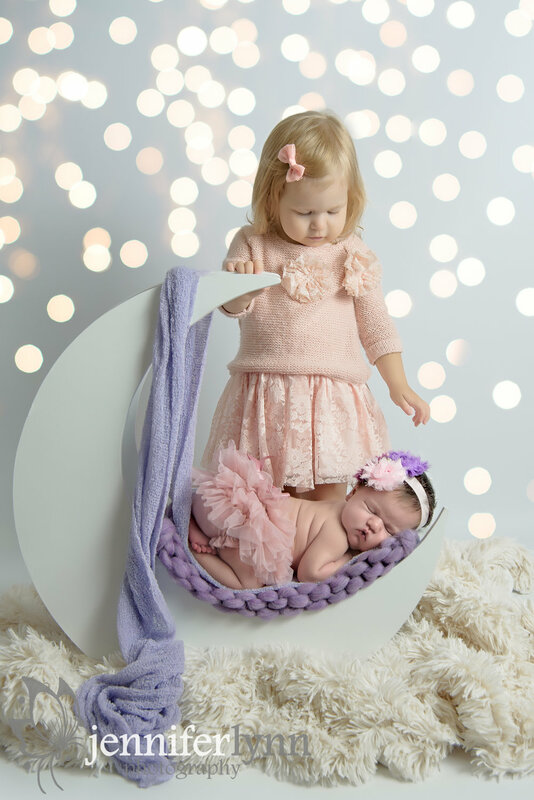 The one request from mom and dad was a moon photo with the pink and purple headband, so I pulled together purples and rose pinks for the rest of the session. I love how they coordinated with added whites and a few new floral headbands for a truly sweet and girly themed newborn session. A huge congrats to this family on the birth of Miss Anna! Enjoy all those precious baby snuggles as you adjust to life as a family of four.